Omaha is home to some of the country’s biggest banks. But with the wealth of options available, it could be a hassle to pick the right place to deposit your money into. Luckily for you, the banking experts at SmartAsset did most of the hard work in categorizing and ranking the options. Read on to learn all about the best banks in Omaha. First we started by researching the largest banks in Omaha. Then we boiled down our list to the top ranking banks that offer excellent products and customer service. We analyzed details like best savings accounts, bonus perks and overall fee structure. The 2.20% APY of the Ally Online Savings Account is one of the best rates you’ll come across. In fact, a starting balance of $10,000 would earn $909 in interest over four years. To maximize the account’s interest-earning capabilities, Ally offers daily compounding. Unlike many accounts with strong interest rates, there are no fees or minimums for Online Savings account holders. Ally’s Interest Checking Account is a great in-house pairing for the Online Savings Account. Customers with a $15,000 minimum daily balance or higher earn a 0.60% APY, and those beneath that margin receive a 0.10% APY. Account holders won’t pay monthly fees either. If you need cash from your checking account, Ally is partnered with the Allpoint ATM network, which has 55,000 fee-free ATMs in the U.S. and beyond. Ally offers reimbursements of up to $10 per statement cycle for out-of-network ATM charges. The popularity of mobile banking is at an all-time high, and Ally is a major player in this space. Its Apple and Android apps provide many services, such as an ATM locator, mobile check deposit, a money transfer program called Zelle® and up-to-date transaction histories. With nearly 100 offices scattered throughout the city, First National Bank of Omaha stands as one of the largest banks around. And it’s no surprise. 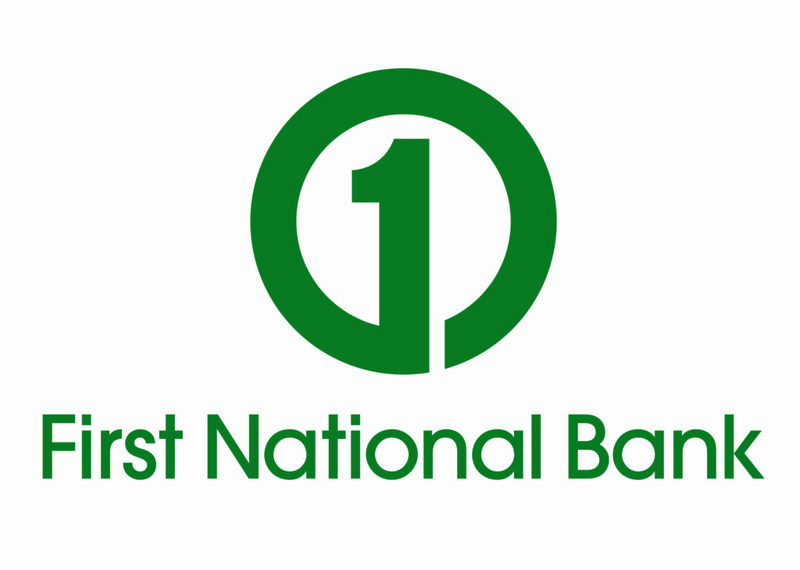 First National Bank of Omaha offers some of the most versatile products we’ve analyzed. For starters, you can open a Free Checking account with any amount you’d like. Plus, you don’t have to worry about a monthly service fee. The perk can save you a lot in the long run. You don’t even have to maintain a minimum balance to keep your account open. But if your financials are a bit more complex, you can open a Premier Checking account. This option collects interest on balances higher than $15,000. However, that can cover your entire deposit account arsenal at First National Bank of Omaha. So that means that your checking, savings and certificate of deposit (CD) accounts can count toward the maximum. And the bank’s savings options are just as affordable. You can open one with no minimum deposit requirement or monthly fee. However, the bank’s money market account might not be the smartest option. You need $1,000 to open it, and its annual percentage yield (APY) can’t lift it to a spot on the list of best money market accounts (MMAs). But unlike most similarly sized banks, the First National Bank of Omaha offers a health savings account (HSA). People interested in opening multiple accounts with a reliable bank. One of the most convenient regional banks around is Great Western Bank. But despite its local ties, the bank offers everything you’d likely find at national banks for more affordable prices. Most of its checking accounts either require no minimum deposit or charge no monthly service fee. And if they do, you can easily waive them. For example, you can avoid the fee on the digital account if you set up direct deposit and make 25 transactions. Plus, you can open a savings account with $50 and pay no monthly service fee. So your savings can grow uninterrupted. But if you’re looking to earn a real return, you should invest in the bank’s CDs. The bank occasionally offers high-yield promotional rates. And you can open any CD with a $500 minimum. And if you need any more reason to work with this bank, J.D. Power recently ranked it as best in customer service for the Midwest region. Do you have at least $100 ready to deposit in a savings account? CIT Bank’s Savings Builder account is a great place to put it. The base APY for the account is 1.17%, but if you can manage to keep your balance at or above $25,000 or deposit $100 a month, your rate will jump to 2.45%. To put things into perspective, five years of this rate on a $10,000 deposit would garner almost $1,300 in interest earnings. The CIT mobile app is available on the Apple and Android app stores, and customers have rated it at 3.85 stars out of 5. This is due in part to the app’s robust set of services it provides, including mobile check deposit, digital account statements, detailed transaction histories and inter-account transfers. CIT’s proprietary money transfer program, “People Pay,” is available only to money market account holders. U.S. Bank offers one of the best savings accounts around. Omaha is home to more than 30 locations. You can open a variety of savings accounts. The most affordable, however, is the Standard Savings account. You can open one with $25. And the bank will waive the $3 monthly service fee if you maintain a minimum balance of $300. In addition, you get access to U.S. Bank’s suite of online tools. However, the APY isn’t the strongest out there. Still, it’s inexpensive to manage as long as you meet fee-waiver requirements. Plus, you get access to reliable customer service. But if you’re willing to sacrifice access to a local bank, you may find better deals by exploring the best online high yield savings accounts. People who value online banking experiences and technology. American National Bank offers a suite of tech features to help you manage your finances. You can open any account to access the bank’s digital offerings. One of them is designed to help you manage your budget. In fact, the bank devotes an entire section on its website to providing tips on how to develop a budget, save and pay down debt. Users on Google Play gave the bank’s app a nearly perfect ranking of 4.6 stars out of 5. The app also scored well with Apple users. It has a 4.7 ranking on the iTunes store. In addition, the bank will slash your monthly service fee by $5 if you’re between the ages of 17 and 24. And if you want to earn a little bit of interest, Wells Fargo also offers a Preferred Checking option. You can avoid the $15 monthly service fee by linking a Wells Fargo home mortgage. So this option can suit those who have a strong relationship with the bank. Plus, the bank offers an array of online and digital features to compliment any account you open. You’d get all the features you’d expect from mobile banking including mobile check deposit. You can also seamlessly transfer funds to others without exchanging bank account information.